PHP has become one of the most used programming languages in the world. 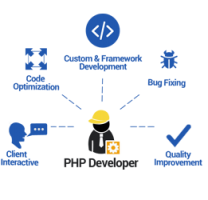 Most of clients place an order for a PHP developer to create their website. 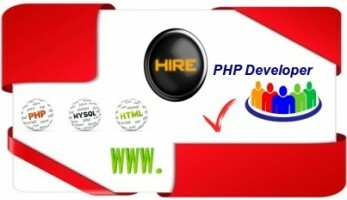 Rather than hiring a full time PHP developer, it might be beneficial if you hire a dedicated PHP developer. There are a lot of benefits associated with hiring a dedicated developer. You won’t have to pay the developer even when there is no work, there will be a lot of flexibility in the work and your project won’t be copied or duplicated. Despite all the benefits, if you hire the wrong kind of dedicated PHP developer then your project might be negatively affected by it. So, you should not go and blindly hire some random dedicated developer. That would be just inviting a lot of trouble. So, when you hire a dedicated PHP developer what should you look for? Here is a list of few things that you might want to consider while hiring someone. This is the first thing that you have to look for whether you hire a developer or some other staffs. Experience of a developer shows what kind of project he has worked on, what did he learn from it and if the project he had worked on was successful and as per clients wish. You can see his experience by asking samples of his work or his portfolio. This will give you a slight idea about how the dedicated web designers and developers do their work. If someone has given a good review about the developer that you are about to hire then there is a high possibility that the developer is good. You can search in the internet or you could ask someone you know. People normally give good reviews only when the developer has done an astounding job that satisfies and pleases them. If you receive a green signal from other people then you can go ahead and hire PHP developers from India. However, if someone gives you a red signal then you should halt the process of hiring the developer right there. Not all developers have the same kind of skills. Some might be expert in some kind of programming language whereas some might be an expert in other programming languages. Since, you want to hire PHP developers in India, you might want to make sure that the person you are hiring actually knows the PHP language. By hiring a dedicated developer, you can terminate your project if you think that they are not adequate enough or skilled enough to do it. 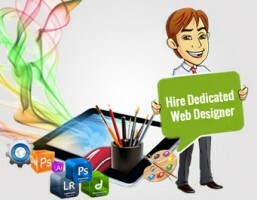 So, hiring dedicated web designers can actually prove to be very beneficial for you.